Latest archaeological findings by a USM archaeological team places the Kedah sultanate as possibly the oldest in the world. 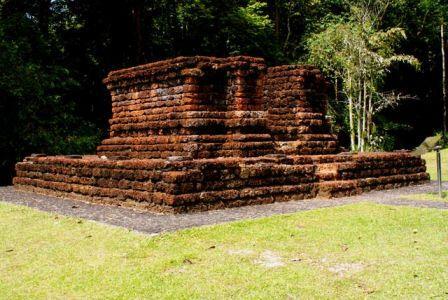 Local history books may have to be re-written to accommodate a Universiti Sains Malaysia(USM) archaeological team’s discovery that the Kedah sultanate pre-dates Malacca as the oldest in the Malay peninsula. The team from USM’s Centre for Global Archaeological Research (PPAG) has unearthed evidence of ancient artifacts and an iron smelting site in Kedah dating back to 110 AD. Among the discoveries were a complete and intact foundation of a stone building constructed with detailed geometrical precision, revealing the unification of the concept of squares and circles. The excavation, which began in February 2009, is expected to provide answers to various questions regarding the history of the excavation site at Sungai Batu, Bujang Valley. Associate Prof Dr Mokhtar Saidin, the director of PPAG, said that these latest crucial discoveries must be acknowledged by the government, and concedes that Kedah pre-dates Malacca as the starting point of local history. Gobikrishnan, the head of the Lembah Bujang Independent Research Group for the past seven years, said the federal government deliberately concealed the facts about the history of Kedah and in the process played out the Sultanate of Kedah by giving prominence to Malacca. According to him, Merong Mahawangsa, the founder of the Kedah kingdom, was originally a prince by the name of Maaran Mahavamsan from Persia and not Macedonia. He said most historians have made wrong assumptions about Merong Mahawangsa. “Mahavamsan”, means “from a great generation” and Maaran Mahavamsan comes from the lineage of Alexander the Great. “After Alexander won the Battle of Gaugamela in Persia, he married a local princess by the name of Shaher Ul Beriah. And Maaran Mahavamsan was a 11th generation decendent of Shaher Ul Beriah,” said Gobikrishnan. Although Maaran Mahavamsan was born in Persia, his name clearly suggests he was of Hindu stock, said Gobikrishnan, who added that for trading purposes, he travelled to a port city called Nagapattinam which still exists today in South India. From there he sailed to Kedah and formed the Kingdom of Kedah. Athough there are many theories for Maaran’s arrival in Kedah, trade seemed to be his main purpose. Moreover, Kedah was considered part of “greater India” from West India to Cambodia. 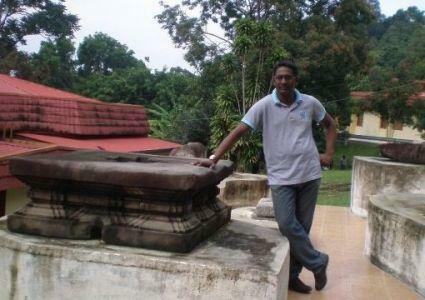 Gobikrishnan also said that under Maaran’s administration, Kedah become a famous entreport and a second century inscription found at the Puhar Port (in Chola Kingdom, India) clearly acknowledges the existence of Kedah. The inscription states that Kedah was famous among traders for trading in “luxuries” (spices). 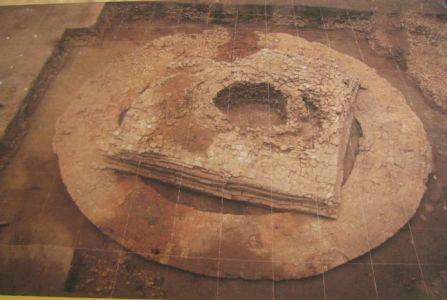 A recent discovery also showed that Kedah had an old port constructed of wood in Merbok. “So, all the earliest sites like the iron smelting foundary, port and stone structures showed that Kedah played an important role as an industrial and trading centre. “Starting with Maaran Mahavamsan until Maharaja Durbar Raja who was also known as Sultan Muzaffar Shah (1136-1179), Kedah had eight Hindu kings before Durbar Raja converted to Islam,” said Gobikrishnan. He added that the Kedah sultanate was unique and one of the oldest in the world. “The current Sultan Abdul Halim Mu’adzam Shah is the 35th generation of Merong Mahawangsa. The federal government deliberately refused to accept these facts. “Why is the federal government acknowledging Malacca as the first Malay sultanate when the facts show that Kedah deserved that honour? asked Gobikrishnan. He also pointed out that Ganga Negara, the Thailand kingdom, and even Parameswara, the founder of Malacca, all originated from the Kedah kingdom. Gobikrishnan appreciated the federal government’s initiative to set up a place for taking care of the things found in Bujang Valley. He added that sidelining Kedah from history is a big embarrassment to the Kedah sultanate which was the earliest in the Malay Peninsula. Gobikrishnan also urged the Kedah state government to take the initiative to ensure Kedah takes its rightful place in Malaysia’s history.